Do you have space in your event calendar for one more event in June? Then we’ve got you covered. 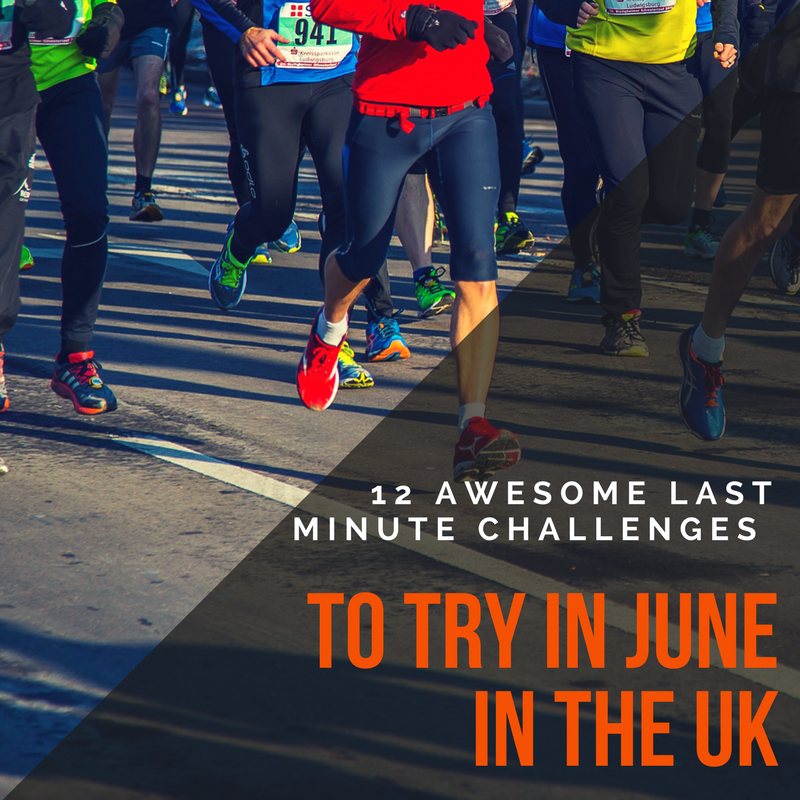 In today’s blog, we go over 12 awesome last minute challenges here in the UK that still have spaces open. The award-winning event is returning for its 36th year. A community focused event, the St Albans Half Marathon aims to raise money for local charities and organisations as well as put on a great day out for all the family. Those looking for a challenge can take on the scenic Half Marathon or Walking Half Marathon, which takes you on a challenging but rewarding route through the country lanes of St Albans. The 5K is open to all ages and takes you on a route around Verulamium Park. This is a great race for those looking to start their running journey but who aren’t quite ready for the half marathon distance. You’ll still experience the great atmosphere we are famous for and help to support local charities and organisations! The Dragon Seeker 60 is a challenge where you to run from the Severn Bridge to Cardiff by foot with only a few essentials in your backpack, and Wolfpack Running supporting you. You have 10 hours to complete the challenge. Do you have what it takes to go the distance? This is a stunning, highly scenic route covering just over 60k, starting on the Severn Bridge and finish in the centre of Cardiff. The route includes trails, footpaths, country lanes and roads so there will be plenty to see along the way. If you’ve never run an ultra this is one of the UK’s best first ultras! If you are doing a Spring marathon, and are looking for the next challenge, then look no further. You’ve done the groundwork already, come and have a go at ultra running – it’s a completely different experience! At the time of writing, there are only a couple of tickets left, so get yours quickly here. Welcome to the Wall. 1,000 of you will run on paths and tracks where many thousands of Romans have gone before. Prepare for open countryside views that extend as far as the eye can see throughout Hadrian’s Wall Country. This area is steeped in history going back thousands of years, but when the 17th June 2017 arrives, you’ll have the opportunity to soak it all in as you power through your Ultra! Of course running 69 miles is no mean feat, so we have put together all the information you need to ensure that all you have to do on the day is concentrate on putting one foot in front of the other to complete this epic challenge. The event team salute you for stepping up to the challenge and wish you the very best of luck. We hope to meet many of you along the route and you can rest assured that we have your safety, welfare and running enjoyment at the front-of-mind at all times. You can get you tickets here, there is no registration on race day so make sure you get in there quickly! Nightrider is a 100km or 50km fully supported night-time charity bike ride through an iconic city. A fantastic way to get together with friends and family or team up with work colleagues to have a Saturday night like no other! The event is not timed and it’s not a race – it’s about having a great night, seeing the sights and raising funds for your chosen charity. If you want to take part in the London event, get in there quick because registration closes on the 29th May, get your tickets here. Human Race and ASO bring you Dragon Ride L’Etape Wales by le Tour de France! 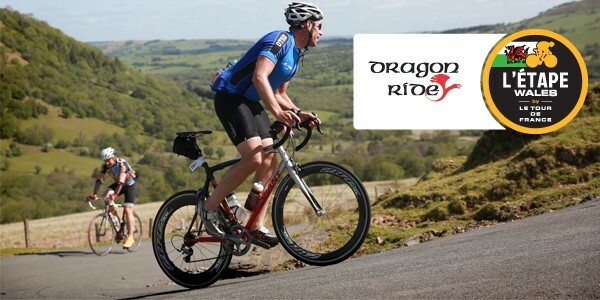 As one of the most iconic sportives in the UK (returning for its 14th year in 2017), Dragon Ride has been selected by ASO as the perfect representation of the world’s most famous cycle event, and will offer the same inspiring le Tour de France riding experience to UK cyclists. Returning for 2017, Xtra Mile Events are working with British Triathlon and the sprint distance event will be an ITU Sprint Distance World Championship qualifier and will be draft legal. Each of the middle, standard and sprint triathlons incorporate the thrill of a sea swim, and a challenging cycle section on closed roads around the Great Orme with its glorious vista over the North Wales Coast (the rest of the middle distance cycle leg will be on open roads). The run route goes out along the Victorian Promenade and then over the Little Orme to Penrhyn Bay. Turn around, then run back over the Little Orme and along the promenade with a sea breeze to cool you to the finish! All finishers receive a fantastic medal and free photo to download. 26 years and counting! 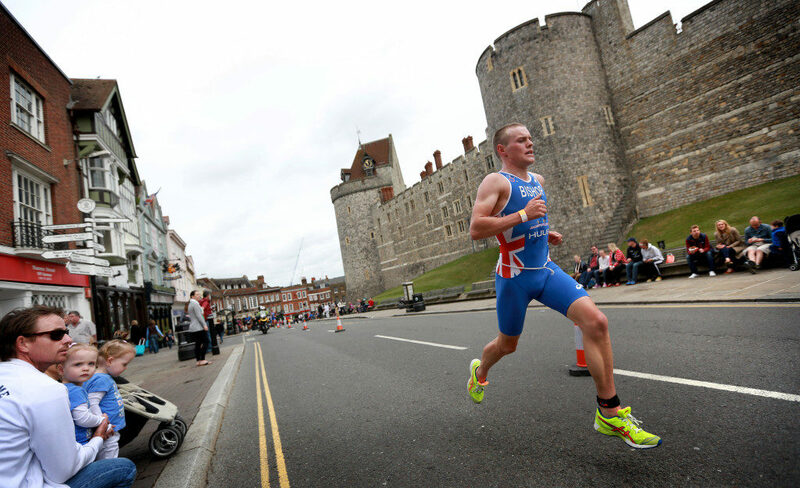 Awarded the BTF’s ‘Event of the Year’ a remarkable seven times, the Nuffield Health Royal Windsor Triathlon is one of the best Olympic distance triathlons in the UK. The triathlon celebrated its 25th anniversary in 2015, and has stood the test of time with its quality delivery, stunning location and great event village. In 2017, the triathlon will be known as the Nuffield Health Royal Windsor Triathlon which coincides with a stunning new run course taking place on royal grounds! Participants will start from the gates of the castle and go into Windsor Great Park and along the spectacular Long Walk. You can get your tickets today, here. Back to the Trenches have updated their challenging obstacle fun mud run to push you further than ever before. We have 6k or 12k for the not so mad runner to push yourself and for the really mad runner we challenge you to two laps to see if you can handle 24? The hills will make the distance feel even longer. Expect new varied obstacles along the way including massive water slides, mud, walls, tyre mangles water, steep climbs and falls, and as usual when you run ‘Back 2 the Trenches’ you must always expect the unexpected! Our hills and obstacles will challenge you, the therapeutic mud will make you smile. We will be adding more challenges to the courses with loads of new obstacles this year. Total Warrior provides the ultimate test of stamina, strength and determination for individuals and teams and offers a challenge for everyone, regardless of fitness levels. The guys at Total Warrior have won plenty of awards so make sure you get your tickets quickly here. World war run is a 10 mile / 5 mile Obstacle Race created to commemorate 100 years since WW1 and honour our fallen heroes. WORLD WAR RUN will take you through – some of the toughest mud pits you’ll ever jump in, hilly terrain, barbed wire crawls, 80+ obstacles, mustard smoke and our famous paintball gauntlet! Want to give it a try? Get your tickets here.